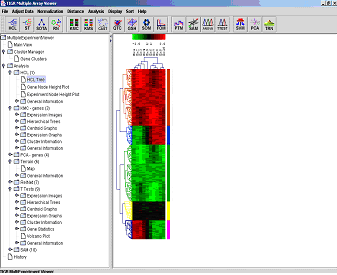 MeV is TM4ܡs main data analysis and visualization tool. Users can load raw or normalized data from a variety of input file types. A broad range of algorithms are available, including those for clustering, classification and statistical tests. An integrated scripting language provides a means to analyze datasets in a regimented and reproducible fashion. .